Takoyaki, literally fried or grilled octopus is a ball-shaped Japanese snack made of a wheat flour-based batter and cooked in a special takoyaki pan. It is typically filled with minced or diced octopus, tempura scraps (tenkasu), pickled ginger, and green onion Takoyaki are brushed with takoyaki sauce, a sauce similar to Worcestershire sauce, and mayonnaise. The takoyaki is then sprinkled with green laver (aonori) and shavings of dried bonito (katsuobushi). I and my friends, who were also my co-bloggers, travelled a mile just to have a taste of this famous authentic takoyaki from Hana’s Restaurant found at the heart of Makati City. 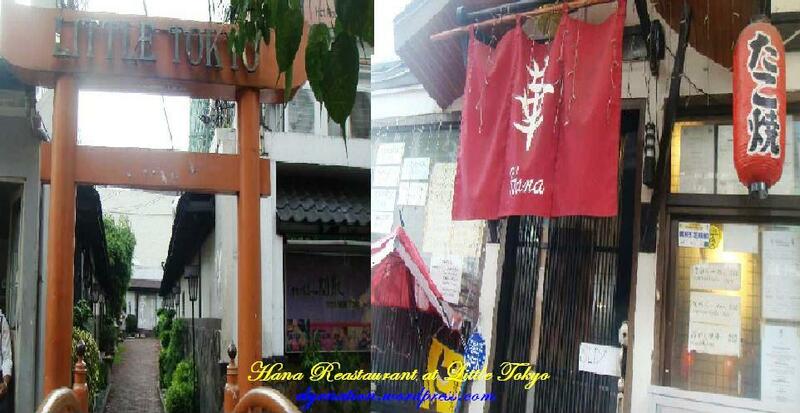 Hana’s Restaurant is located inside the so-called Japanese town, the Little Tokyo, together with other restaurant. I originally thought that the Little Tokyo is really a town, rather it is a place composed of several Japanese restaurants where you can buy authentic Japanese food. As we walk the path to where the Restaurant lies, I could already feel the Japanese atmosphere. There, in the very front, facing the highway was the arch of Little Tokyo. As we go pass through it, we felt as if we were transported to other place. From the light post to the plants, from the icons to the chairs, all are Japanese inspired. While slowly walking in that little path way, you will feel as if you’re walking in one of the roads in Japan. At the end of the road waits a series of Japanese Restaurant, Hana’s Restaurant is one. Hana’s Restaurant is undeniably Japanese inspired. The whole set up of the restaurant from chairs to tables and counters tells you that you are indeed in a Japanese Restaurant. 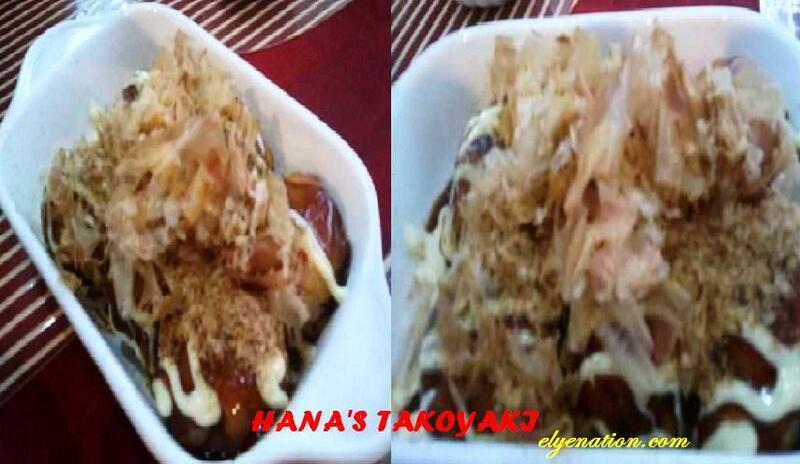 Takoyaki is the specialty of Hana’s Restaurant. We were told that the ingredients of their takoyaki all came directly from Japan. A 6 piece serving of takoyaki only cost P100-P120. And I must say, for such cheap price, Hana’s takoyaki is incredibly delicious! I will not further describe how satisfactorily delicious this takoyaki is, rather I encourage you, “guys you must try it out yourself”!